“I’m glad I chose Mesalands because it gave me a successful future. 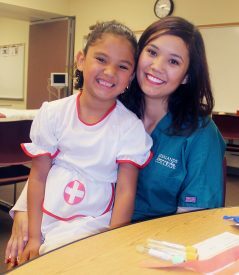 Right out of college, I got a full-time job as a Medical Assistant and Phlebotomist at Presbyterian Medical Services. It’s a really great program that teaches you what you need to know and gets you ready to go out there and work. 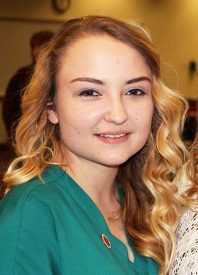 “I’m happy that I chose Mesalands because I received a quality education at an affordable price. I was also offered a job immediately after receiving my certificates. 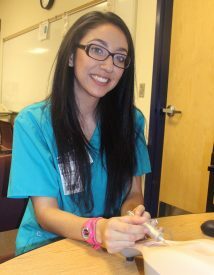 “My time at Mesalands helped me to fall in love with patient care. I also found out that venipuncture is not as scary as I thought. 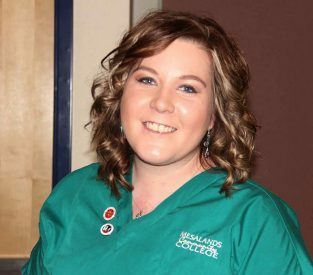 “I’m glad I chose Mesalands because I could go to class and still keep my job.